Medulloblastoma (MB) is the most common malignant brain tumour in children. This project is looking at a protein called p73, which plays a central role in the development of the central nervous system and in metabolism. We hope that this protein will help us to identify new ways of treating MB that are more effective and have fewer side effects than surgery and radio/chemotherapy. We’re funding a study of a protein called P73, to help us understand whether it could play a part in better treatments for Medullablastoma – the most common brain tumour in children. Meet Dylan - one of our hero patient stories! Medulloblastoma (MB) is the most common malignant brain tumour in children. Scientists are working hard to increase the current five-year survival rate of 60-70per cent, and improve the quality of life for survivors. Although the surgery, radio and chemotherapy can be effective, they can also have significant side effects and children who survive can experience disabilities later on. We’re looking for more targeted treatments that attack the tumour without causing more damage to the brain. We now know that metabolic adaptation is a hallmark of cancer. Rapidly growing cancer cells adapt their metabolism by increasing nutrient uptake and energy production. Stopping them doing this will help stop the growth. The protein p53 is a known as a “tumor suppressor gene” because it stops tumours forming. A p53-family member, the protein p73 plays a key role in the development of the central nervous system and in the regulation of metabolism. Dr Maria is studying how p73 is involved in MB and in particular its role in metabolic adaptation of these tumours. 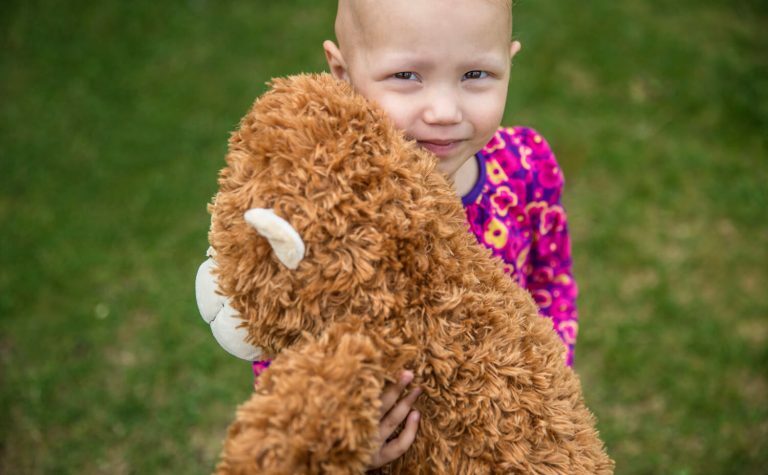 Her final goal is to understand whether targeting p73 could help treat them. Brain tumours are the leading cause of childhood cancer death, and MB is the most common malignant brain tumour affecting children. So we desperately need new therapies to help children to recover. We already know that the protein p73 plays an important role in the development of the central nervous system, but its involvement in the development of MB hasn’t yet been investigated in detail. Recent discoveries have highlighted the role of p73 in cell metabolism. 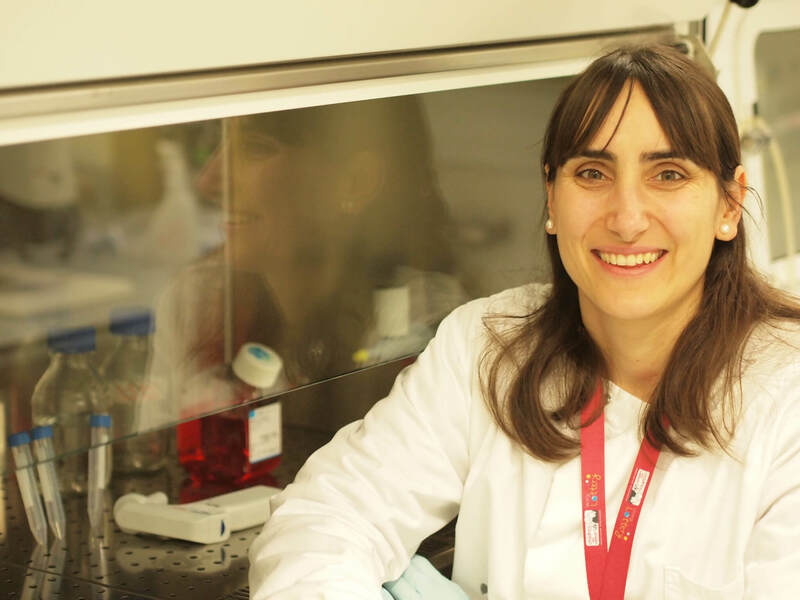 Dr Maria will test the hypothesis that p73-regulated cell metabolism is essential for a medulloblastoma cell to survive under stress conditions. Understanding how p73-drives metabolic adaptation in medulloblastoma cells has the potential to uncover key factors allowing cancer cells to adapt and survive stresses – like a low oxygen environment or nutrient starvation. This will help us to discover new biomarkers for drug targeting, which we hope will ultimately enable us to find less invasive treatments for children, giving them a better chance of survival and reducing the risk of additional damage to their brain. Dr Maria will carry out her research in the Blizard Institute at Barts and The London School of Medicine, Queen Mary University of London, a highly dynamic and international research environment. She has expertise in molecular mechanisms of cancer metabolism combined with the unique pre-clinical and translational brain tumour knowledge at the Blizard Institute. She’ll interact with Silvia Marino, a world-renowned expert in epigenetic regulation in brain tumours with expertise in translational neuro-oncology research. Dr Maria has also established essential collaborations with Dr Marc Remke, Prof. Steve Clifford and Dr Tom Jacques for access to DNA dataset and RNASeq dataset on human MB and MB primary cells respectively.